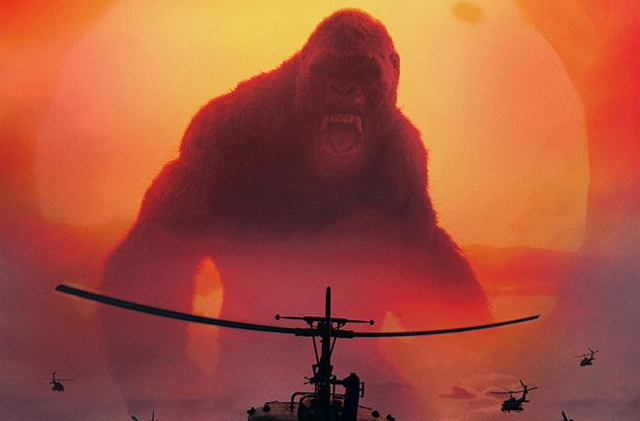 Kong is taking on a whole squadron of helicopters in a new IMAX poster for Kong: Skull Island! Check out the Kong: Skull Island IMAX poster in full in the gallery viewer below and catch the Legendary Pictures and Warner Bros. Pictures release in regular and IMAX theaters March 10. What do you think of this IMAX Kong: Skull Island poster design? Are you planning to check out the film when it hits theaters next month? Let us know your thoughts in the comments below!